These are just some of the people we can help with many more not listed which could benefit from having a properly optimized website. At SEO Memphis we believe the best online marketing strategy requires a variety of techniques and procedures to maintain proper optimization. 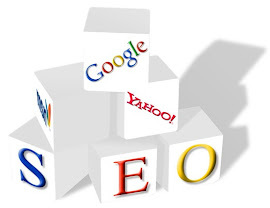 One approach to proper optimization may be sufficient for a short period of time but may become outdated given that search engines such as Google always update and tweak their algorithms to provide the best search results. Proper optimization requires website owners to have the ability to change along with Google and the other search engines in their effort to provide the most relevant and up to date information to searchers. We focus on building a quality SEO profile for your website in order to keep it ranking well within the search engines and keep customer traffic flowing. More and more people are shunning the use of traditional methods (Yellow Pages) of finding the solution to their needs and utilizing local search as their primary source. With your website ranking in the top slots of Google local search, you can dominate the traffic in your field or area of expertise. Contact SEO Memphis today for a free proposal.